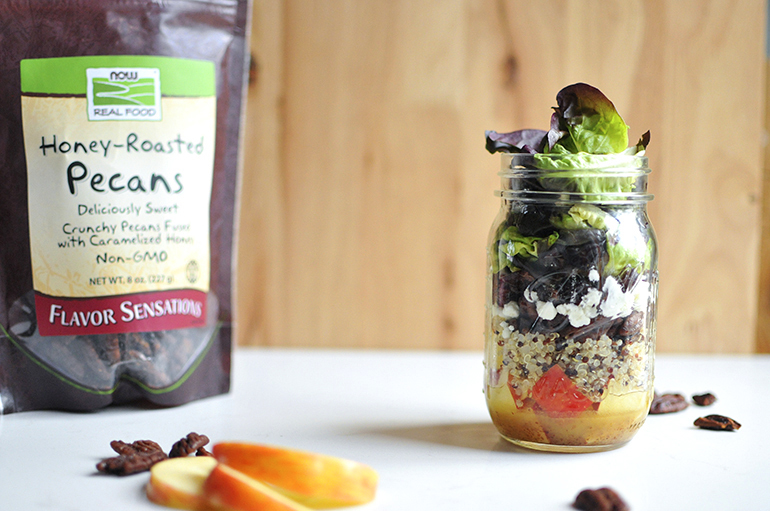 This Apple Harvest Mason Jar Salad is the perfect combination of flavors and textures --- with Now Foods' Honey Roasted Pecans for crunch and a bit of sweetness, creamy goat cheese, protein-packed quinoa, organic apples, and dried cherries. It's the perfect make-ahead work lunch for the busy week ahead! 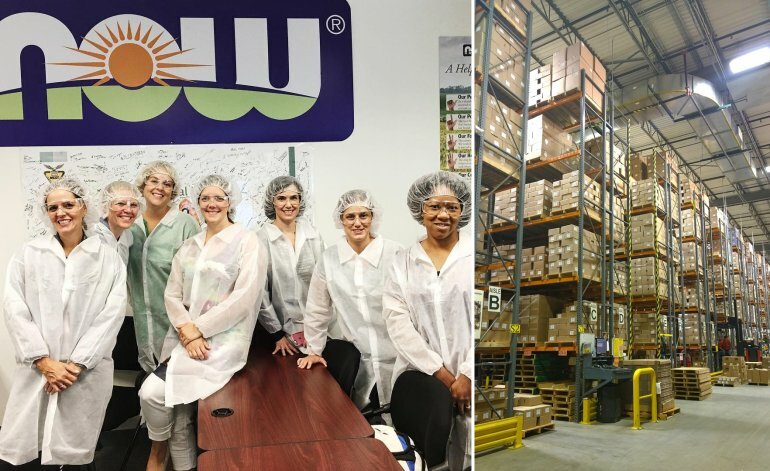 I've been working with Now Foods for the past year and was lucky enough to get to go tour their warehouse and see their headquarters in Chicago last week. Do you know them? 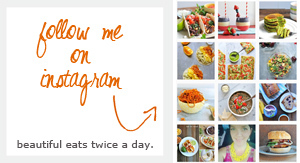 They have a huge range of products (that one of you will win --- see the bottom of the blogpost for details!!) like protein powders, supplements, skin-care, organic nuts, quinoa pastas, cooking oils, essential oils, etc...) I always knew I loved their company, but now I love them even more. Hearing from their CEO was truly inspiring. They whole-heartedly care about the integrity of their products and the health and wellness of all people... and they operate based on that rather than just on their bottom line. We got to wear super cute outfits as we toured the plant where all the vitamins and supplements are made. Just look at this little snapshot of the aisles and aisles and aisles of product ready to be shipped out! 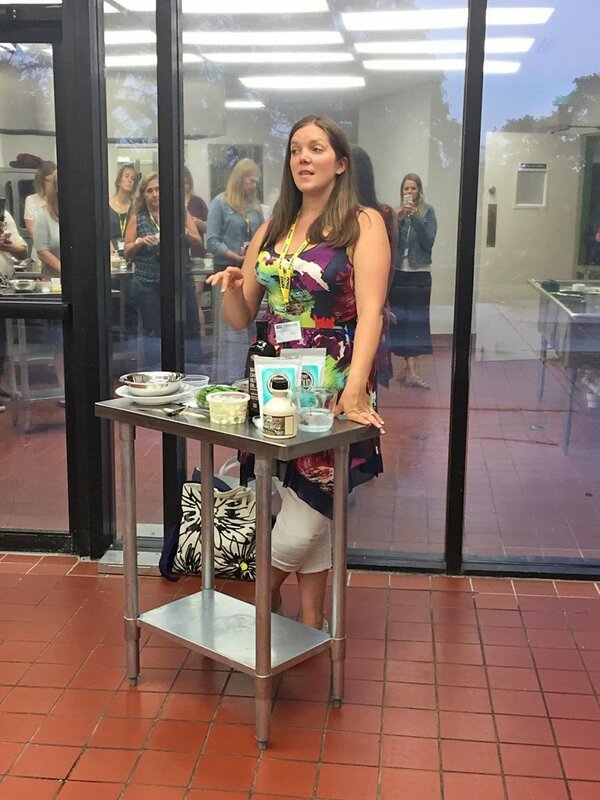 And I even got to lead a cooking demo with all of the other bloggers that were there. 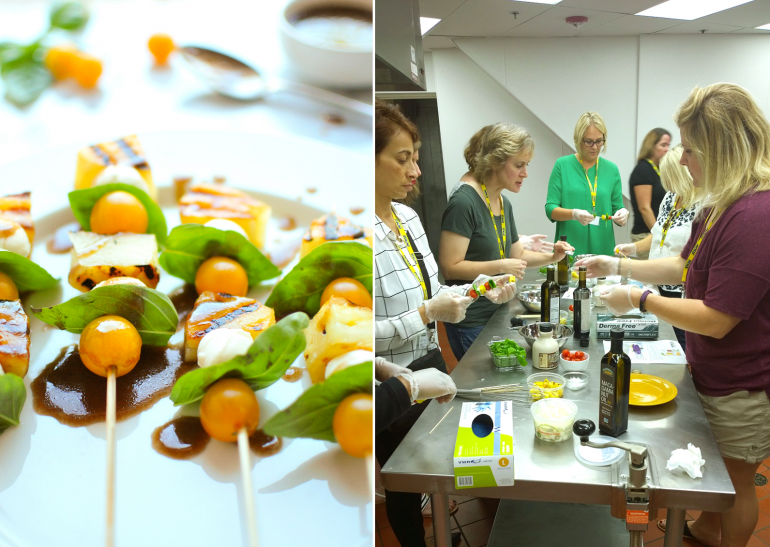 I demoed my pineapple caprese skewers that feature Now Foods' Macadamia Nut Oil. It was so much fun watching everyone make (and happily devour) them. And then at the end of the event, they had the cutest idea ever: a build-your-own mason jar salad bar! 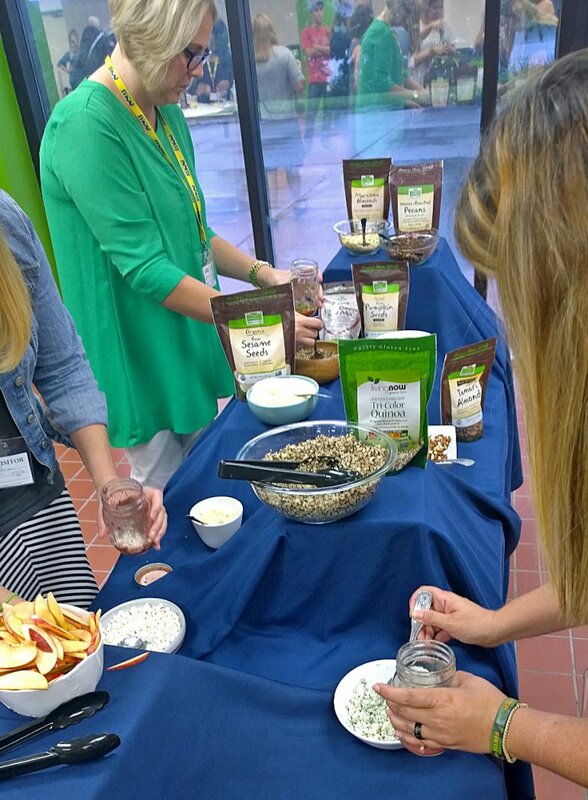 We got to assemble/create our own mason jar salads to take home using an array of their delicious products. 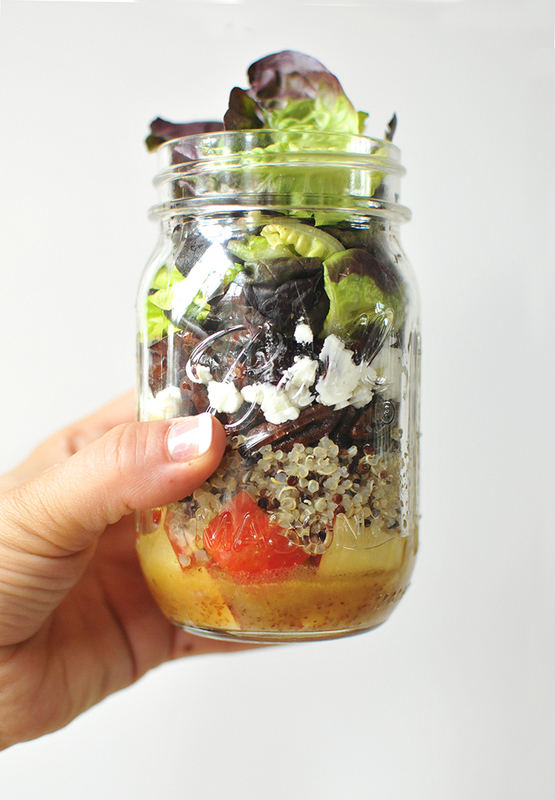 I've made a lot of mason jar salads (like this one and this one and this one) but this apple harvest version is probably my favorite! I've made it like 4 times since I've been home --- because it's so darn delish! ONE Winner will Receive: everything you see below (a prize package worth over $500!) 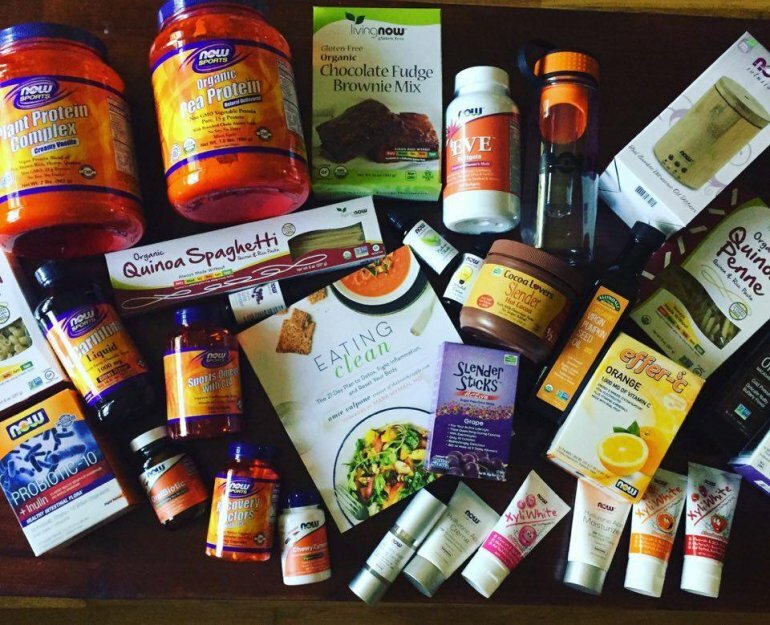 -- protein powder, vitamins/supplements, natural skin-care products (which I LOVE! ), organic nuts, quinoa pastas, cooking oils, essential oils and a super cute diffuser, hot chocolate, a fabulous vegetarian cookbook, and more. TWO ways to enter: 1. 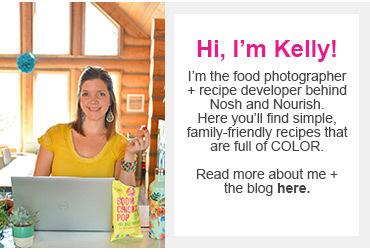 Follow Nosh and Nourish on Facebook, Instagram, and/or Twitter (1 or all 3) and leave a comment below telling me you did so. Already a follower? Leave a comment letting me know! 2. Leave a 2nd comment telling me which item (shown below) you're most excited to win/try! Giveaway is open to blog readers in the US. The givevaway will end 8/15 at 8pm EST and winners will be announced the following week!